I find that there is a level of apprehension surrounding cork seals which is generally unfounded. Cork is a great sealing material and was the only piston seal available on the early model Pelikan piston assemblies (as well as the pistons of several other manufacturers). I can understand wanting to eschew cork for synthetic seals in our high-tech modern society but don’t be too hasty. I have had synthetic seals, after decades of faithful service mind you, fail me on pens such as a first year 400 and an older 120. Like their synthetic counterparts, once a cork seal has failed, it is essentially a lost cause (barring a case of mild shrinkage from an improperly prepared piece of cork). Reviving an old and failing seal is almost alway met with failure. When in that situation, the best practice is to replace the seal. Cork can be found on models 100, 100N, Ibis, and other contemporary variants. It wasn’t until the early 1940’s that Pelikan introduced a black rubber seal. A newer synthetic seal was deployed in the early 1950’s resulting in just about any pen produced after WWII (400/300/140/120/etc) being equipped with one of the newer seals. The 100N’s straddled this line and can be found with cork on older models as well as black rubber and even the more modern seals later into their production. Obviously something has to be wrong with cork to cause such a dramatic shift to synthetics, right? The truth isn’t quite that simple. A well treated cork makes an excellent and dependable seal just as smooth if not smoother than any synthetic. The reason synthetics came to rule the day is because they were easier and cheaper to mass produce, longer lasting, and weren’t as labor intensive. Also, there was likely difficulty with importation of cork during wartime resulting in Pelikan opting for the more readily available German synthetics. The only way that a cork seal can excel is if it is properly treated. Whittling a seal out of the cork from last night’s bottle of wine won’t quite cut it. A cork needs to be loved before it is installed and able to function properly. Of course, a seal can be custom-made from scratch or pre-formed pieces can be purchased from various vendors with the understanding that custom fitting will still be necessary. Most of the time, I favor utilizing skilled experts in order to ensure a job done right. The secret to cork longevity is in the proper pre-treatment and installation. One must take care to properly size the cork, fitting it to the individual pen’s inner diameter. There is no one size fits all as barrels can shrink over time. 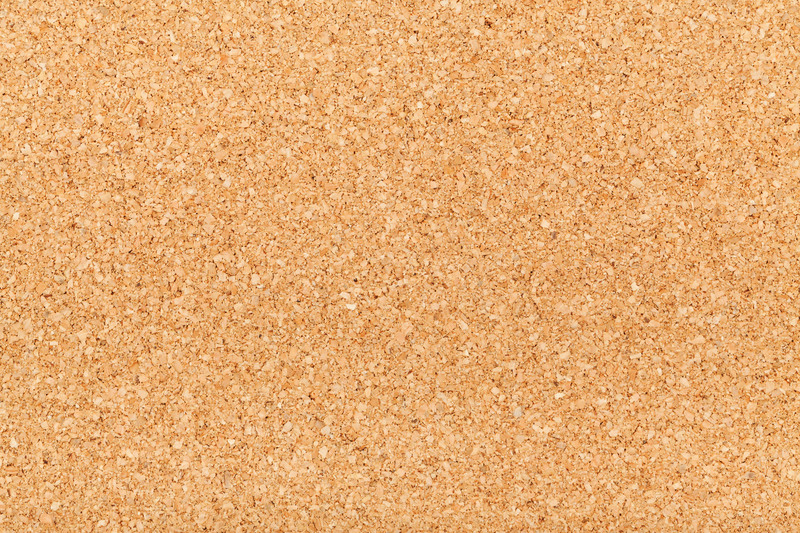 Sizing cork is a slow and deliberate process using abrasives until the proper fit is achieved. Proper sizing is essential here because a seal too small won’t do its job and one too big risks damage to the pen’s barrel. Once a piece of cork is properly sized, it must next be sealed. There are different schools of thought on this. Some people utilize just molten paraffin wax while others will use a mixture of paraffin and beeswax. There are those that have opted for pure silicone paste and, in Germany, paraffin oil is popular. It’s important to ensure that the cork is impregnated and properly sealed to ensure maximum longevity. Skimping on the proper sealing will likely result in premature seal failure. 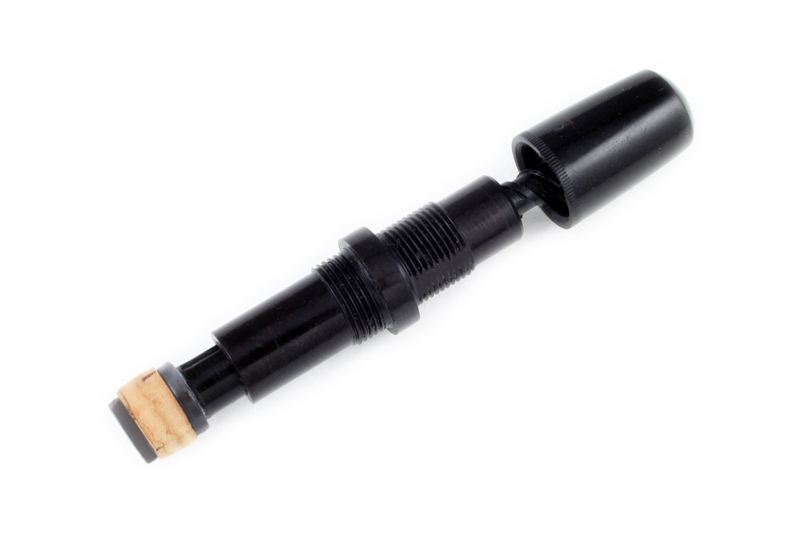 With installation, the barrel must be clean and free of agents (such as old ink) that might affect the seal adversely. Speaking of ink, I would favor using milder inks that are well-regarded and known to be fountain pen friendly in pens with a cork seal. Harsher inks and those with special properties may be damaging to even the best prepared piece of cork and care should be exercised in that setting. Once you have a competent, functioning cork seal, the next question seems to invariably be how to store such a pen. There are several schools of thought on this and I think the best practice depends on long-term versus short-term storage. Some will contend that a properly sealed cork does not need any special storage as it should resist drying out and, consequently, shrinkage/rot. Others feel that it is important to store pens wet with water in order to keep the cork hydrated and prevent shrinkage. This is a common practice but you should be mindful of mold development after a long duration of storage. Some people who live in more humid environments may never experience any issues. My take on this is that, in the short-term, storing a pen dry or wet is simply a matter of personal preference/experience. In the long-term, however, pens should most likely be stored dry. If a seal does dry out, an attempt can be made to rehydrate it. Simply instill a small amount of water and keep the pen nib up in order to allow for penetration/rehydration. After 20-30 minutes, if any improvement will occur, you should gain better suction. If improvement is noted, the process can be repeated until the seal regains complete competency and draws a full fill. At the end of the day, a cork seal is not something to fear. While one needs to be more mindful of the unique properties of such a seal, a properly serviced cork piston will provide decades of reliable service. 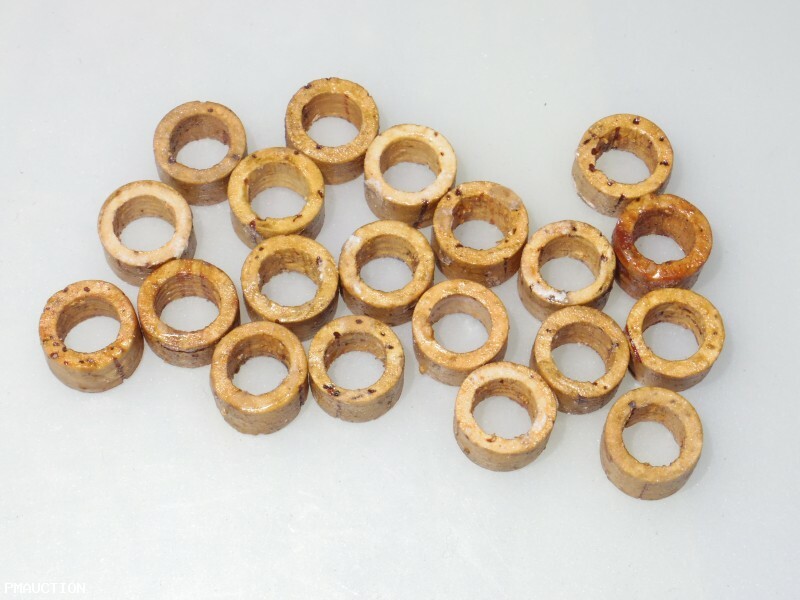 If you are still squeamish, there is the possibility of replacing a vintage cork seal with synthetic O-rings. I don’t favor this approach as I like to keep pens in their original condition. If you’re interested in the O-ring replacements, see the link to David Nishimura’s site below. Your comments and discussion, as always, are welcomed.